Personalize three layered circle charms with names, meaningful date or message to create a unique keepsake jewelry gift to wear ff what is most important to you. hand stamped with what is most important to you. 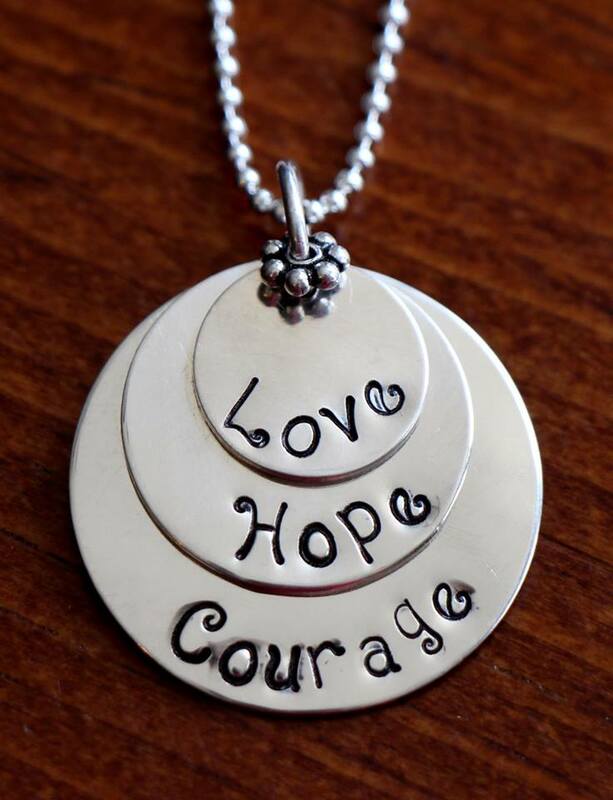 Sterling silver, hand stamped necklace measures 1″. Optional birthstones may be added. Bottom charm- personalize with up to 14 letters. Middle charm- personalize with up to 10 letters. Top charm- personalize with up to six letters. Categories: Classic Hand Stamped Necklaces, Necklaces, new.